Sign-up using the form or call us at 813-831-8321 to request your appointment today! It's fall - and it is time to feel better!!! Are you ready to eliminate your pain? Let's get to the cause of what hurts. Chiropractic helps you feel better fast, naturally. Feel better fast from your head to your toes. Your aches and pains matter to us, and it is time to feel better. Give us a call. |CHIROPRACTOR South TAMPA| - |Chiropractic| works. Dr. Steve Edelson not only checks your back and neck, but also your ribs, ankles, knees, hips, shoulders, elbows, wrists, skull, sinus', jaw, and more. There is even an adjustment that can help with hiatal hernia. 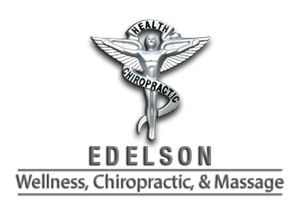 Welcome to the Edelson Wellness, Chiropractic, & Massage web site! 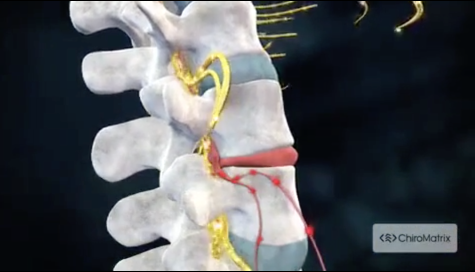 Here is a blog article that explains what chiropractic is: Blog article. Chiropractic adjustments can help. Check us out on Facebook. Chiropractic can help eliminate headaches, neck pain, back pain, pain to other areas too. Do you have numbness to your fingers? Here is some information that you may find helpful (http://tampachiropractor-edelson.blogspot.com/). Have you been injured in an automobile accident? Remember - you only have 14 days from the date of the accident to initiate an insurance claim and have your initial chiropractic visit to get your insurance company to help you. Otherwise they will not. We can help if you have back pain or neck pain or headaches. If your body's aching and your head really hurts, think Chiropractic first! Located in the heart of South Tampa (33629, 33611), the chiropractic physician at Edelson Wellness Center is dedicated to helping you achieve your wellness objectives -- combining skill and expertise that spans the chiropractic wellness spectrum. Dr. Steve Edelson is committed to bringing you better health and a better way of life by teaching and practicing the principles of chiropractic wellness care. Dr. Edelson is located in SOUTH TAMPA. If you need a chiropractor in Tampa, or in the St. Petersburg, Clearwater or Brandon areas, call for your appointment today. Remember to share this web site with your friends and family. Patients seeking treatment at Edelson Wellness Center with Dr. Steve Edelson are assured of receiving quality care through the use of modern chiropractic equipment and technology. Dr. Steve Edelson and the staff have a genuine concern for your well-being! Does your young athlete need a school physical?. Call us (813) 831-8321 for school physicals. Kids benefit from chiropractic too.